Happy Halloween! 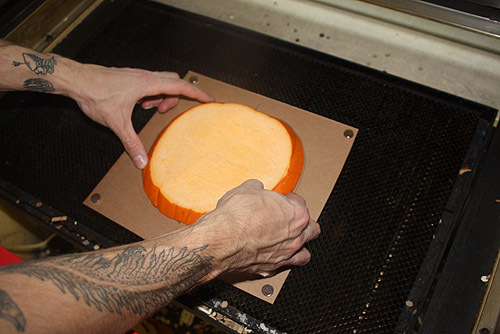 With Jack-O-Lantern’s popping up on stoops across the country, it was only a matter of time before some creative type ran one through a laser cutter. 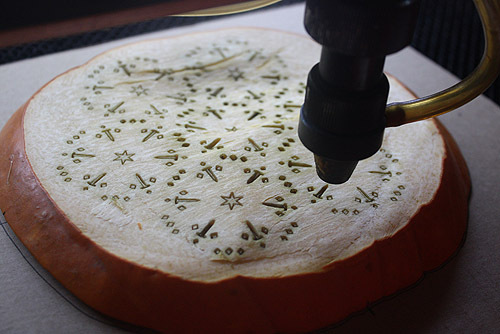 Brooklyn-based design bloggers at DesignSponge have launched a contest for the most creative pumpkin carvings and artist Dan Funderburgh rose to the challenge and delivered an incredible deconstructed pumpkin, carved from lasers instead of by hand. 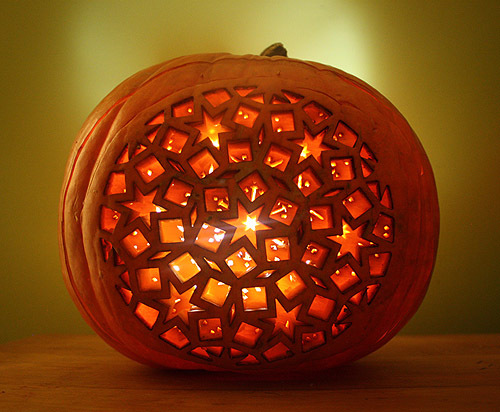 After playing with a few different design motifs, Funderburgh decided to go with an intricate pattern inspired by Mexican punched tin lanterns. “I wanted something that would be hard to do by hand, but would not collapse right away,” Funderburgh told DesignSponge. 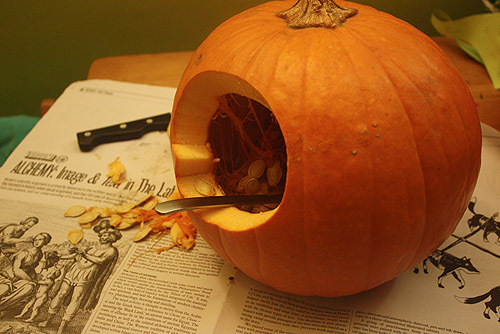 The first step in constructing the jack-o-lantern was to cut two discs off the front of a small-medium sized pumpkin. 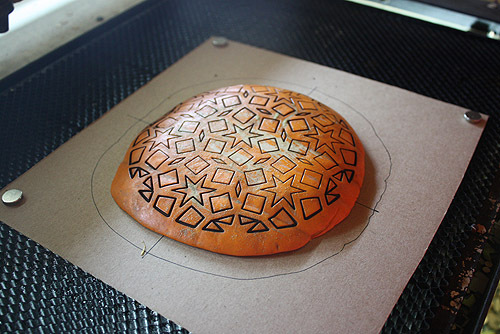 The skilled team at Death at Sea Design then placed the first disc in the laser cutter, and proceeded to etch out Funderburgh’s vision. “As this was a first for both of us, we weren’t certain how well pumpkin would laser and how burning pumpkin would smell. Turns out that it works pretty well and smells kind of pleasant and autumnal,” Funderburgh told the blog. 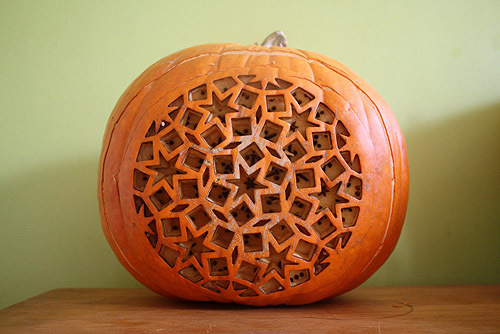 The artist turned to good-old fashioned hand carving when he discovered that the laser couldn’t quite punch all the way through, and then used toothpicks and glue to stick the carved discs back into the face of the pumpkin. The end result is spectacular.